Obituary*: "DR. EDWARD L. DUER. "Dr. Edward L. Duer, the retired Philadelphia physician who died yesterday at the home of his father-in-law, Daniel W. Corbit at Odessa, has lived in Delaware since his retirement from active practice, five years ago. He was 80 years old and was long distinguished in Philadelphia medical circles as a gynecologist and obstetrician with a large practice among the wealthy and socially prominent. Dr. Duer’s first wife was a Miss Naudain of Delaware by whom he had two children, Dr. S. Naudain Duer of Philadelphia and Mrs. Helen Councillor, wife of Dr. Malcolm Councillor of Bryn Mawr. He remained a widower for many years after the death of his first wife but in 1907 he married Miss Louise Corbit of Odessa, sister of Mrs. F. William Curtis of Wilmington, his second wife being the second cousin of his first wife. Despite his age he was young in spirit, with a very wide circle of friends. His funeral will take place at Odessa tomorrow at 1.30 o’clock with interment in the Corbit private cemetery. 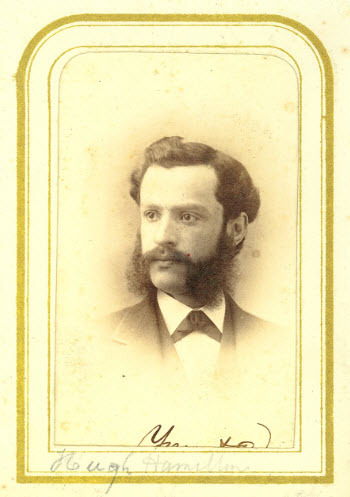 "Dr. Duer was graduated from Yale in 1857 and from the Medical School at the University of Pennsylvania in 1860. "For a year he served as a resident physician in the Philadelphia Hospital and in 1862 he was appointed obstetrician there, retaining that position until 1880. He served later in the same capacity at the Polyclinic and Maternity Hospitals and the Preston Retreat. He also was chief of the obstetrical department of the Presbyterian Hospital. [S1] Ruth Bennett, Naudain Family of Delaware (Geneva, Neb. : n.pub., 1941), pp. 76, 96. This material is a typescript of "notes" in Ms. Bennett's possession and apparently was originally written and compiled by James W. Lattomus. Copies are with the D.A.R. Library, Washington, D.C., and Roger Bartlett, Austin, Tex., and can be viewed at http://www.rabgenealogy.com/ui53.htm. The notes contain some inconsistencies, and page 45 was missing from the D.A.R. Library copy when it was copied. [S1] Ruth Bennett, Naudain Family of Delaware, above, p. 96 (giving the place but not the date). [S961] Find A Grave, online at http://www.findagrave.com, memorial for Dr. Edward Louis Duer, memorial no. 10043545, viewed on 4 Jul 2016. [S720] Dorothy Colburn, comp., Old Drawyers: The First Presbyterian Church in St. George's Hundred (Odessa, Del. : n.pub., 1989), p. 200 (identifying him as Mr. Duer and not giving the date). [S1343] Journal-Every Evening, Wilmington, Del., online at http://www.newspapers.com, 7 Sep 1916, p. 6, col. 6. [S1] Ruth Bennett, Naudain Family of Delaware, above, p. 96 (naming Edward Louis Duer, M.D. as his father). [S1] Ruth Bennett, Naudain Family of Delaware, above, p. 96 (naming Edward Louis Duer, M.D. as her father). [S1] Ruth Bennett, Naudain Family of Delaware (Geneva, Neb. : n.pub., 1941), p. 77. This material is a typescript of "notes" in Ms. Bennett's possession and apparently was originally written and compiled by James W. Lattomus. Copies are with the D.A.R. Library, Washington, D.C., and Roger Bartlett, Austin, Tex., and can be viewed at http://www.rabgenealogy.com/ui53.htm. The notes contain some inconsistencies, and page 45 was missing from the D.A.R. Library copy when it was copied. [S945] H. Franklin Andrews, The Hamlin Family [etc. ], above, p. 242 (naming Rebecca Naudain as her mother). [S945] H. Franklin Andrews, The Hamlin Family [etc. ], above, p. 242 (naming Maj. Gurdon Saltonstall Hubbard as his father). [S1] Ruth Bennett, Naudain Family of Delaware (Geneva, Neb. : n.pub., 1941), pp. 76-77 (naming Hugh Alexander as his father). This material is a typescript of "notes" in Ms. Bennett's possession and apparently was originally written and compiled by James W. Lattomus. Copies are with the D.A.R. Library, Washington, D.C., and Roger Bartlett, Austin, Tex., and can be viewed at http://www.rabgenealogy.com/ui53.htm. The notes contain some inconsistencies, and page 45 was missing from the D.A.R. Library copy when it was copied. [S961] Find A Grave, online at http://www.findagrave.com, memorial for Eugene Washington Alexander, memorial no. 116085525, viewed on 1 Jan 2017 (naming Rebecca Naudain Alexander as his mother). [S961] Find A Grave, online, above, memorial for Eugene Washington Alexander, memorial no. 116085525, viewed on 1 Jan 2017. [S1] Ruth Bennett, Naudain Family of Delaware, above, p. 77. [S961] Find A Grave, online, above, memorial for Eugene Washington Alexander, memorial no. 116085525, viewed on 1 Jan 2017 (stating he was born on 22 Feb 1841). [S1] Ruth Bennett, Naudain Family of Delaware, above, p. 77 (stating he was born on 22 Feb 1840). Other Names*: Maria Cuyler Per Lee Washington. Note*: • She was from Norwich, Connecticut. [S1] Ruth Bennett, Naudain Family of Delaware (Geneva, Neb. : n.pub., 1941), p. 77 (naming William T. Per Lee as her father). This material is a typescript of "notes" in Ms. Bennett's possession and apparently was originally written and compiled by James W. Lattomus. Copies are with the D.A.R. Library, Washington, D.C., and Roger Bartlett, Austin, Tex., and can be viewed at http://www.rabgenealogy.com/ui53.htm. The notes contain some inconsistencies, and page 45 was missing from the D.A.R. Library copy when it was copied. [S1] Ruth Bennett, Naudain Family of Delaware, above, p. 77 (naming Mary Per Lee as her mother). [S1] Ruth Bennett, Naudain Family of Delaware, above, p. 77 (giving the date but not the Place). [S961] Find A Grave, online at http://www.findagrave.com, memorial for Maria Perlee Alexander, memorial no. 116085533, viewed on 1 Jan 2017 (stating that she was born in 1839 in New York). [S961] Find A Grave, online, above, memorial for Maria Perlee Alexander, memorial no. 116085533, viewed on 1 Jan 2017. [S1] Ruth Bennett, Naudain Family of Delaware, above, p. 77 (first bullet). [S961] Find A Grave, online, above, memorial for Maria Perlee Alexander, memorial no. 116085533, viewed on 1 Jan 2017 (second bullet). [S1] Ruth Bennett, Naudain Family of Delaware, above, p. 77 (second bullet) (spelling her surname as "Per Lee"). [S1] Ruth Bennett, Naudain Family of Delaware, above, p. 77 (naming William T. Per Lee as her father). Marriage*: She married William T. Per Lee. Birth*: He was born on 25 September 1842. Marriage*: He married Eliza K. Saunders on 22 November 1866. Marriage*: She married Arnold Naudain Alexander, son of Hugh Alexander and Rebecca Ann Naudain, on 22 November 1866. Note*: She was from Bardstown, Illinois. Birth*: He was born on 24 December 1844. Birth*: He was born on 24 December 1847. Marriage*: He married Anna C. Magill, daughter of John Magill, on 27 July 1870. Marriage*: She married Hugh Alexander, son of Hugh Alexander and Rebecca Ann Naudain, on 27 July 1870. Birth*: He was born on 25 July 1851. Death*: He died on 1 July 1852. Birth*: He was born on 14 November 1853. Note*: He was a twin of his brother Hermanus. Note*: He was a twin of his brother Snow. Marriage*: She married Gen. Daniel Woodall. Birth*: She was born on 1 July 1846. Marriage*: She married William Giles in October 1902. Death*: She died on 15 March 1929 at age 82. Marriage*: He married Eliza Corbit Hamilton, daughter of William Newell Hamilton M.D. and Mary Hambly Naudain. Marriage*: He married Eliza Corbit Hamilton, daughter of William Newell Hamilton M.D. and Mary Hambly Naudain, in October 1902. Birth*: He was born on 16 February 1852. Marriage*: He married Catharine Smith, daughter of J. Fleming Smith M.D., on 20 February 1873. "HAMILTON.—On June 20, 1914, WILLIAM NAUDAIN, aged 62 years, son of the late Dr. W. L. and Laura Hamilton. [S1365] The Sun, Baltimore, Md., online at http://www.newspapers.com, 23 Jun 1914, p. 6, col. 8 (obituary of William Naudain Hamilton). [S1365] The Sun, Baltimore, Md., above, 23 Jun 1914, p. 6, col. 8. Father: J. Fleming Smith M.D. Marriage*: She married William Naudain Hamilton, son of William Newell Hamilton M.D. and Mary Hambly Naudain, on 20 February 1873. Note*: He emigrated from Ireland and engaged in business in Philadelphia. • His Find A Grave memorial, which includes pictures of his tombstone and his grave, is here. [S1] Ruth Bennett, Naudain Family of Delaware (Geneva, Neb. : n.pub., 1941), p. 77 (naming James C. Ellis, M.D. as his father). This material is a typescript of "notes" in Ms. Bennett's possession and apparently was originally written and compiled by James W. Lattomus. Copies are with the D.A.R. Library, Washington, D.C., and Roger Bartlett, Austin, Tex., and can be viewed at http://www.rabgenealogy.com/ui53.htm. The notes contain some inconsistencies, and page 45 was missing from the D.A.R. Library copy when it was copied. [S961] Find A Grave, online at http://www.findagrave.com, memorial for Robert Naudain Ellis, memorial no. 76765666, viewed on 12 Aug 2018. [S1490] The Palm Beach Post, Palm Beach, Fla., online at http://www.newspapers.com, 30 Sep 1928, p. 3, col. 3 (obituary for Robert Naudain Ellis). [S961] Find A Grave, online, above, memorial for Robert Naudain Ellis, memorial no. 76765666, viewed on 12 Aug 2018 (giving the date but not the place). [S1490] The Palm Beach Post, Palm Beach, Fla., online, above, 30 Sep 1928, p. 3, col. 3 (obituary for Robert Naudain Ellis) (naming Robert Naudain Ellis as his father). Other Names*: Fannie McClure Ellis, Fannie Ellis. • Her Find A Grave memorial, which includes pictures of her tombstone and her grave, is here. [S961] Find A Grave, online at http://www.findagrave.com, memorial for Fannie McClure Ellis, memorial no. 76765657, viewed on 12 Aug 2018. Father: James Edward Ellis M.D. Birth*: She was born on 28 January 1845. Birth*: She was born on 16 January 1847. Death*: She died on 16 July 1849 at age 2. Birth*: He was born on 9 July 1852. Note*: He was a twin of his sister Lydia. Birth*: She was born on 9 July 1852. Marriage*: She married Banyer Ludlow on 2 October 1873. Note*: She was a twin of her brother James. Marriage*: He married Lydia Cowgill Ellis, daughter of James Edward Ellis M.D. and Elizabeth Riddle Naudain, on 2 October 1873. Birth*: She was born on 23 August 1856. [S1] Ruth Bennett, Naudain Family of Delaware (Geneva, Neb. : n.pub., 1941), p. 78. This material is a typescript of "notes" in Ms. Bennett's possession and apparently was originally written and compiled by James W. Lattomus. Copies are with the D.A.R. Library, Washington, D.C., and Roger Bartlett, Austin, Tex., and can be viewed at http://www.rabgenealogy.com/ui53.htm. The notes contain some inconsistencies, and page 45 was missing from the D.A.R. Library copy when it was copied. [S1082] William Henry Egle, Pennsylvania Genealogies, Chiefly Scotch-Irish and German (Harrisburg, Penn. : Harrisburg Pub. Co., 1896), pp. 327-30 (naming Adam Boyd Hamilton as his father). [S1082] William Henry Egle, Pennsylvania Genealogies, Chiefly Scotch-Irish and German, above, pp. 330 (giving the date but not the place), 332. [S1082] William Henry Egle, Pennsylvania Genealogies, Chiefly Scotch-Irish and German, above, pp. 330 (not giving the date), 332. [S1082] William Henry Egle, Pennsylvania Genealogies, Chiefly Scotch-Irish and German, above, p. 332 (naming Howard Hamilton as his father). Dr. Hugh Hamilton, courtesy of "Ray" on www.findagrave.com. Note*: • He and brother Howard were twins. He was a physician in Central Pennsylvania, president of various district medical associations, vice-president of the state medical society, and a frequent contributor to medical journals. He also was an author and historian and president of the Pennsylvania State Federation of Historical Societies. He died after a brief illness. • A long obituary, which is not reprinted on this site because of possible copyright restrictions, appeared in the Harrisburg Telegraph, Harrisburg, Pennsylvania, on 8 Oct 1923 and is available online here for a fee. [S1344] Harrisburg Telegraph, Harrisburg, Pa., online at http://www.newspapers.com, 8 Oct 1923, p. 1, col. 8 (obituary of Dr. Hugh Hamilton) (naming A. Boyd Hamilton as his father). [S949] The Sons of the American Revolution, New York State Society: 1893-94, above, p. 130 (naming Catherine Louise Naudain as his mother). [S949] The Sons of the American Revolution, New York State Society: 1893-94, above, p. 130. [S961] Find A Grave, online at http://www.findagrave.com, memorial for Dr. Hugh Hamilton, memorial no. 139512509, viewed on 20 Aug 2016. [S1082] William Henry Egle, Pennsylvania Genealogies, Chiefly Scotch-Irish and German, above, pp. 330 (not giving the date or place), 332-33. [S1344] Harrisburg Telegraph, Harrisburg, Pa., above, 8 Oct 1923, p. 1, col. 8 (obituary of Dr. Hugh Hamilton). [S1344] Harrisburg Telegraph, Harrisburg, Pa., above, 8 Oct 1923, p. 1, col. 8 (obituary of Dr. Hugh Hamilton) (stating that interment would be in Paxton churchyard). [S949] The Sons of the American Revolution, New York State Society: 1893-94, above, p. 130 (stating that he was a physician) (first bullet). [S1082] William Henry Egle, Pennsylvania Genealogies, Chiefly Scotch-Irish and German, above, pp. 330 (stating that he and Howard were twins), 332 (stating that he was a physician in Harrisburg, Pennsylvania) (first bullet). [S1426] The Evening News, Harrisburg, Penn., online at http://www.newspapers.com, 9 Apr 1930, p. 24, col. 5. [S1082] William Henry Egle, Pennsylvania Genealogies, Chiefly Scotch-Irish and German, above, p. 333 (naming Hugh Hamilton as his father). [S1082] William Henry Egle, Pennsylvania Genealogies, Chiefly Scotch-Irish and German, above, p. 333 (naming Hugh Hamilton as her father). [S1082] William Henry Egle, Pennsylvania Genealogies, Chiefly Scotch-Irish and German, above, p. 333 (naming Sarah Cochran as her mother). [S1082] William Henry Egle, Pennsylvania Genealogies, Chiefly Scotch-Irish and German (Harrisburg, Penn. : Harrisburg Pub. Co., 1896), pp. 327-30 (naming Adam Boyd Hamilton as her father). "WELL-KNOWN HARRISBURGER DIES AT HOT SPRINGS. "The funeral of Naudain Hamilton, the well-known resident of this city, who died Sunday morning at Hot Springs, Ark., will take place tomorrow afternoon at 5 o’clock from the residence of his brother, Dr. Hugh Hamilton, 315 Walnut street. The interment will be made in the Hamilton family plot in the Harrisburg Cemetery and will be private. "The death of Mr. Hamilton came suddenly and was a great shock to his many friends. He left here the latter part of June for Rock Island, Ill., where he was interested, and it is thought that he decided to go to Hot Springs for a rest, as he had been there a number of times in the past. Last winter Mr. Hamilton suffered from a protracted attack of grip, which left him rather weak. Evidently he took a severe cold, as, when his nephew, Dr. B. Wallace Hamilton, of New York, joined him at Hot Springs on Friday night he found him suffering from purulent pleurisy. Saturday night an operation took place and word was received here yesterday that Mr. Hamilton had died at 4.15 Sunday morning. "Mr. Hamilton lived at the Harrisburg Club. He was one of the best-known men in Harrisburg, being much interested in local real estate, on which he was regarded as one of the best-posted men. He was the youngest son of the late A. Boyd Hamilton and Catharine Louisa Naudain, daughter of Arnold Naudain, who represented Delaware in the United States Senate in the days of Henry Clay. He was born in Harrisburg 50 years ago and was educated under the late Prof. J. F. Seller at the Harrisburg Academy and Lafayette College and during his early manhood was engaged in newspaper work in New York, Chicago and in this city. Mr. Hamilton was at one time a member of the Chicago Board of Trade. "Mr. Hamilton devoted his attention after 1888 to real estate on Allison Hill. He was interested in a number of enterprises in the West, having been one of the organizers of the Southwest Missouri electric railway and one of the men who built a considerable part of that noted trolley system. At the time of his death he was president of the Union Electric Telephone and Telegraph Company, which operates the system in Rock Island, Ill., and Davenport, Iowa. He was also a director of the Paxtang Electric Company. He was a member of the Manhattan Club, of New York, and several other organizations. He was one of the charter members of the Harrisburg Lodge of Elks and a member of the Pennsylvania Society Sons of the American Revolution. "Mr. Hamilton represented the Third ward in Select and Common Councils and was president of Common Council in 1887. He was chairman of the Democratic County Committee for several terms and a few years ago, desiring to withdraw from politics, resigned from the chairmanship after serving a year upon appointment of State Chairman Hall. Scrapbook*: • "AN UNFORTUNATE RENCONTRE. "Kilburn J. Chandler Shot by Naudain Hamilton. "On Friday night last, at about 9 o’clock, Kilburn J. Chandler, city editor of the Patriot, was wounded in the left leg by a bullet discharged from a pistol in the hands of Naudain Hamilton. No accurate account of the affair could be obtained on Friday night without disturbing the wounded man who was then in the hands of the surgeons, and it was thought best to make no announcement of the occurrence until full particulars of the shooting could be had. "Mr. Chandler states that he and a gentleman friend on Friday evening last visited the residence of Mr. William Stephen on Front street above Hamilton. Naudain Hamilton and a companion were also guests at the house of Mr. Stephen at the same time. The party were seated on the portico in conversation with the ladies of Mr. Stephen’s family, when Hamilton began to abuse Chandler using very insulting language. The latter declined a controversy further than to say that he would settle the matter with him elsewhere, but Hamilton persisted in his verbal assault. Finally Chandler, being greatly provoked, said to Hamilton, ‘If you will come with me on the river bank, I’ll give you all the satisfaction you want,’ or words to that effect. Hamilton declined to go at first, but continued to berate Chandler when the latter started to go home, and again invited the other to a settlement on the street or river bank. The two then left the house and faced each other on the street. Hamilton remarked, ‘Kil., you are larger and stronger than I, and this is hardly fair,’ to which Chandler was about to reply, when Hamilton struck at him with his open hand, grazing his face, saying, ‘If you think I am afraid of you, take that.’ Chandler immediately stepped forward toward Hamilton, when the latter drew a revolver and fired at him, but missed. Chandler stooped to find a stone but did not succeed, and then made a spring toward Hamilton for the purpose of securing the pistol, but as he leaped forward Hamilton fired again, the shot taking effect in the fore part of the left leg below the knee, breaking the large bone. The two then grappled with each other, but Chandler threw his antagonist and choked him severely. In the struggle the smaller bone of the wounded leg was also broken and the plucky editor was obliged to let go his grip. Meanwhile the other gentlemen visiting at Mr. Stephen’s, attracted by the pistol shots, appeared on the scene. Hamilton left and Chandler was taken to his home on Locust street below Third. The latter states that it is absolutely untrue that the quarrel between Hamilton and himself was caused by any affair of the heart; that there is no woman in the case at all, but that he and Hamilton had not been good friends for a long time. He also says that the report that he had fainted after he was wounded is incorrect. "A Patriot reporter called on Mr. Hamilton for the purpose of getting his version of the matter, but found the young man quite reticent. He would only say that public sympathy was naturally with Mr. Chandler on account of his wound and that the same was the case with his fellow reporters. From a number of Hamilton’s friends, however, the reporter gathered the information that the young man claims to have been annoyed beyond endurance by remarks which he declares Mr. Chandler made concerning him and also that he was struck twice before he attempted to resent the injury. It is also asserted by Mr. Hamilton’s friends that the first shot was fired ‘perpendicularly into the air’ and the second shot was discharged while Hamilton was putting the revolver into his pocket and would have struck the ground had not Mr. Chandler had his leg between Hamilton’s legs in trying to ‘throw’ him. Mr. Hamilton’s friends express the most profound regret for the unfortunate occurrence. "The will of the late Naudain Hamilton, of this city, was read yesterday and will shortly be admitted to probate. Mr. Hamilton left quite a considerable estate, consisting of holdings in public service corporations, in Harrisburg and western cities, and valuable real estate in Harrisburg and vicinity. He was one of the heirs of the late A. Boyd Hamilton. While the provisions of the will are not made public, they are pretty generally known. "The Philadelphia nephew is connected with the University of Pennsylvania, and, it is said, objected to some of the proceedings in the settlement of the estate of the late A. Boyd Hamilton, and is alleged to have resorted to the court in his contention with Naudain Hamilton. The A. Boyd Hamilton matter was only finally adjudicated by the court about two months ago, and in favor of Naudain Hamilton, one of the administrators." [S1] Ruth Bennett, Naudain Family of Delaware (Geneva, Neb. : n.pub., 1941), p. 78 (naming Adam Boyd Hamilton as his father). This material is a typescript of "notes" in Ms. Bennett's possession and apparently was originally written and compiled by James W. Lattomus. Copies are with the D.A.R. Library, Washington, D.C., and Roger Bartlett, Austin, Tex., and can be viewed at http://www.rabgenealogy.com/ui53.htm. The notes contain some inconsistencies, and page 45 was missing from the D.A.R. Library copy when it was copied. [S1344] Harrisburg Telegraph, Harrisburg, Pa., online at http://www.newspapers.com, 8 jul 1907, p. 4, col. 3 (obituary of Naudain Hamilton) (naming A. Boyd Hamilton as his father). [S1] Ruth Bennett, Naudain Family of Delaware, above, p. 78 (giving the date but not the place). [S1344] Harrisburg Telegraph, Harrisburg, Pa., above, 8 jul 1907, p. 4, col. 3 (obituary of Naudain Hamilton) (stating that he died at 4:15 a.m.). [S1344] Harrisburg Telegraph, Harrisburg, Pa., above, 8 jul 1907, p. 4, col. 3 (obituary of Naudain Hamilton). [S1344] Harrisburg Telegraph, Harrisburg, Pa., above, 8 jul 1907, p. 4, col. 3. [S1427] The Harrisburg Daily Patriot, Harrisburg, Penn., online at http://www.genealogybank.com, 5 Sep 1881, p. 4, col. 2 (first bullet). [S1345] Harrisburg Star Independent, Harrisburg, Pa., online at http://www.newspapers.com, 12 Jul 1907, p. 1, col. 4, p. 8, col. 4 (second bullet). [S1344] Harrisburg Telegraph, Harrisburg, Pa., above, 22 Dec 1934, p. 5, col. 8 (third bullet). Death*: He died in LaGuina, Venezuela. Birth*: He was born in November 1848. Note*: He was a graduate of the U.S. Naval Military Academy and was an ensign in the U.S. Navy. Death*: She died on 25 November 1920 at age 66. [S1081] Benjamin H. Shoemaker, Genealogy of the Shoemaker Family of Cheltenham, Pennsylvania, above, p. 307 (naming Lydia Naudain as her mother). [S1081] Benjamin H. Shoemaker, Genealogy of the Shoemaker Family of Cheltenham, Pennsylvania (Philadelphia, Penn. : B. H. Shoemaker, 1903), p. 307 (naming Edward H. Wilson as his father). Marriage*: She married Howard Haman Esq. Birth*: She was born on 15 March 1857. Marriage*: He married Harriett Louisa Cowgill, daughter of Clayton Augustus Cowgill M.D. and Lydia Frazier Naudain. Note*: He was from Baltimore, Maryland. Marriage*: She married Clayton Augustus Cowgill M.D., son of Daniel Cowgill Sr. and Mary Naudain, after 1871. Note*: She was from Boston, Massachusetts. Birth*: He was born on 25 July 1843. Death*: He died in 1870. Birth*: She was born on 18 May 1846. Birth*: He was born on 23 July 1850. Marriage*: He married Emma D. Cole on 16 April 1871. Marriage*: He married Frances L. Neall on 6 February 1890. "Elias Naudain Moor, secretary and treasurer of the Tacony Trust Company, died yesterday at his home, 3608 Disston street, Tacony. "Mr. Moor was born in Dover, Del., July 23, 1850, and received his education in the West Chester Military Academy. For thirty-five years he was associated with the Lehigh Coal and Navigation Company. He then became identified with the Tacony Trust Company, with which he was connected sixteen years. "He was president of the Thirty-fifth Ward Building and Loan Association seventeen years. At the time of his death he was treasurer. He was a member of the Disston Memorial Presbyterian Church, Tacony. "Mr. Moore [sic] is survived by his wife, Mrs. Frances N. Moor, and four children, Elias N. Moor, Jr., Robert H. Moor, Miss Bessie Moor and Mrs. Edith M. Long. Note*: He was secretary-treasurer of the Tacony Trust Company in Philadelphia, Pennsylvania. [S1355] Evening Ledger, Philadelphia, Pa., online at http://www.newspapers.com, 12 Dec 1922, p. 2, col. 4 (obituary of Elias Naudain Moor). [S1355] Evening Ledger, Philadelphia, Pa., above, 12 Dec 1922, p. 2, col. 4. Marriage*: She married Elias Naudain Moor, son of Robert H. Moor and Rebecca Naudain, on 16 April 1871. Marriage*: She married Elias Naudain Moor, son of Robert H. Moor and Rebecca Naudain, on 6 February 1890.